B2B ecommerce is changing the game for health and life sciences organizations as healthcare providers (doctors, nurse practitioners, etc.) and payers (insurance companies) are embracing digital platforms to improve efficiency, reduce transaction costs, and provide real-time inventory across the supply chain. According to a recent Health Industry Distributors Association Insights report, by 2020, 85% of all B2B buyer/seller relationships will take place without human interaction. The opportunity is enormous for purchasers and medical suppliers to evolve the way they do business, which will, in turn, deliver a better patient experience. The healthcare and life science industries maintain a value chain that is more layered and complex than most. 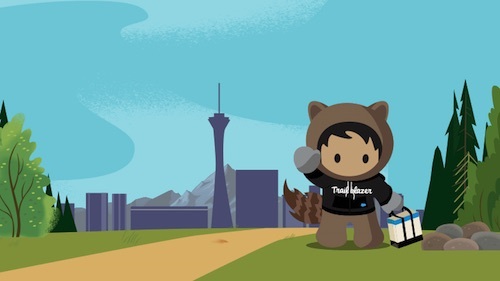 Modern B2B ecommerce systems, like Salesforce B2B Commerce, introduced recently as part of Commerce Cloud, absorb complex rules around provisioning, procurement, and reporting, and present them to providers and payers in an easily digestible way. Guided online ordering that streamlines and simplifies the purchasing and change management of complex orders. One solution that supports multiple interactions including organization-to-provider, provider-to-patient, and organization-to-provider-to-patient. High-value content like videos, images, and community streams that enhances customer decision making. Fast and flexible architecture built for fast business changes including support for new regulatory requirements and product pricing models. Salesforce B2B Commerce is challenging the idea that B2B ecommerce needs to be difficult and time consuming for the buyer. Right now, according to a 2018 report State of the Connected Customer, 82% of business buyers say they want the same easy experience as when they’re buying for themselves, but only 27% say providers excel at meeting those standards in the B2B space. 1. Expectations: The greatest impact on procurement and payers is visibility into specific product and price information via a modern ecommerce experience that reduces costs and makes it easy to buy what you need for your business. 2. Price and payer: B2B Commerce is designed to support purchases from multiple buyers and contracts. This means that on day one, the provider and revenue team can purchase from pre-negotiated contracts, streamlining purchasing and reducing the likelihood of errors. 3. Product/regulatory requirements: Every Provider within or outside of IDNs have specific products that they can purchase based on the type of medicine, regulations, etc. that exist. B2B Commerce supports the Provider and Regulatory entitlements with the flexibility and auditability required. 4. 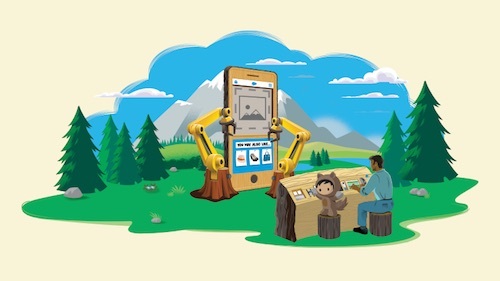 Channel: B2B Commerce is an embedded experience within Salesforce CRM, providing capabilities like ordering on behalf of customers and real-time account insights, all to improve the sales channel. 5. 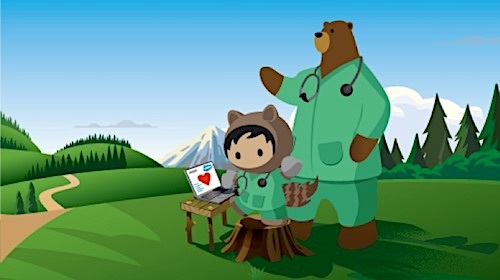 Visibility: Salesforce provides a 360-degree view of your business, and the multi-sided relationships across payer, provider, and channel. You and your partners can view, diagnose and take action on trends across segments, regions and product lines. Healthcare and life science organizations have more opportunity for growth than ever before. The global medical device market alone is expected to hit $409 billion by 2023, and Deloitte predicts global health care expenditures will reach a staggering $10 trillion by 2022. Forrester predicts that online B2B purchases will hit $1.2 trillion in 2021. Leveraging ecommerce doesn't have to feel like such a tectonic shift, however. 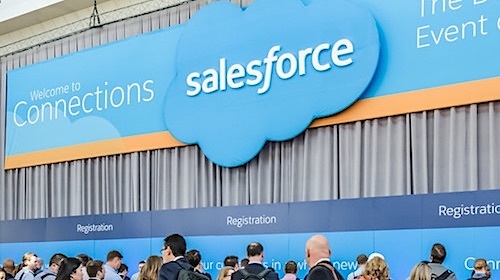 Salesforce B2B Commerce enables you to get your ecommerce channel up and running quickly, and allows you to deliver the connected online experiences that buyers have come to expect. Want to know how sales teams win with commerce in the age of the connected consumer? Learn how to transform the B2B sales function.